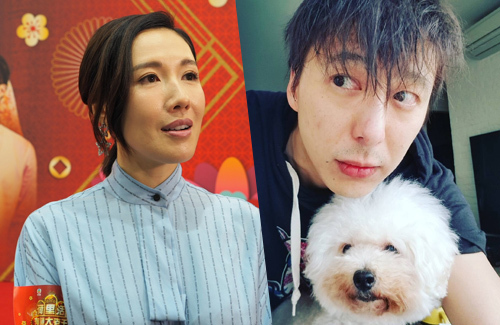 Although breaking up 10 years ago with Patrick Tang (鄧健泓), Selena Li (李施嬅) was recently rumored to be intruding on the actor’s marriage after they were seen walking their co-owned dogs together. Selena and Patrick began their relationship when they were filming Just Love <老婆大人> in 2004 and even adopted two dogs together. However, in 2009, Selena chose to go back to Canada to continue her schooling, which led to their breakup. In 2018, Patrick married Sukie Sek (石詠莉). Recently, rumors have been spreading that Selena uses their dogs as an excuse to see Patrick. @citygal It depends on how far they’d went in the relationship. I don’t think anybody would be comfortable with their husband seeing somebody that he was once intimate with. Regardless, I agree with Selena that dogs are like kids and that they should still be giving the attention despite personal conflicts.